the formulas for the area of squares and rectangles. 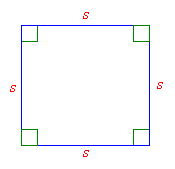 The area of a square can be obtained by multiplying the lengths of the two sides. Since the lengths of the sides are the same in a square, we just square the length of the side to get the area. Worksheet to calculate rectangle & square problems involving length, width, perimeter and area. The following video shows how to calculate the area of a square. 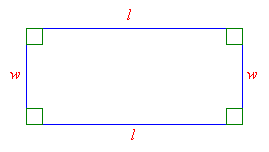 The following video shows an example of calculating the area of a rectangle.